I would like to ask for your recommendations about what fork should I buy. This guide and video are really helpful, but I still have some questions. I would like to buy something in 200-250€ range (or maybe bit more if it's really necessary) for some easy terrain. RockShox Recon RL seems like best choice for me. It should have "rebound-to-lock damper" and "OneLoc compatibility". However, most Recon RL forks I see in shops come with remote or are advertised as compatible with remote, but sellers say they can't be adjusted from unlocked to locked in steps. Some versions seem to have knob on crown which supposedly allows adjusting compression dampening in steps. Does anyone have experience with this? Which version do you prefer? What happens if I hit bump with locked "remote version" fork? Sadly I could find only version with spool for remote, are there any shops in EU that sell the other one? If you have any other advice (other brands, shops which send packages to Slovakia...) please share. 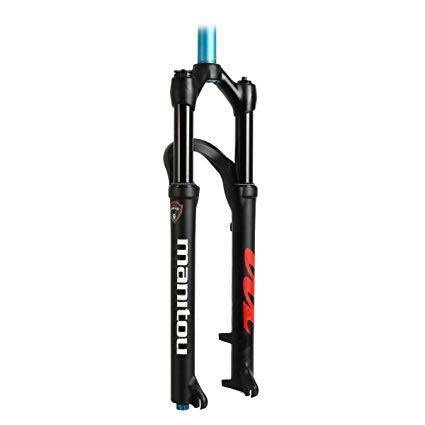 You have a bit too many requirements for a 250€ fork You can buy great models for that money, like Manitou Markhor from Amazon or CRC. It won't come with the remote lockout, which you'd have to buy separately here. It is a great, race - ready fork though. The RockShox are quite OK, but Markhor is the lightest. Thank you for reply. I'll look into it.